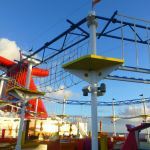 Did you know that a quarter of Carnival Cruise Line bookings last year were for family holidays? That is 700,000 children in case you are curious. 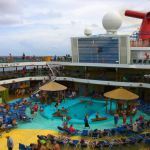 Just before Christmas, my wife, son and I joined them on our first family Caribbean cruise aboard the "fun ship" Carnival Breeze. "Switch on fun" is the marketing slogan, and I was keen to see what that meant for my experience. 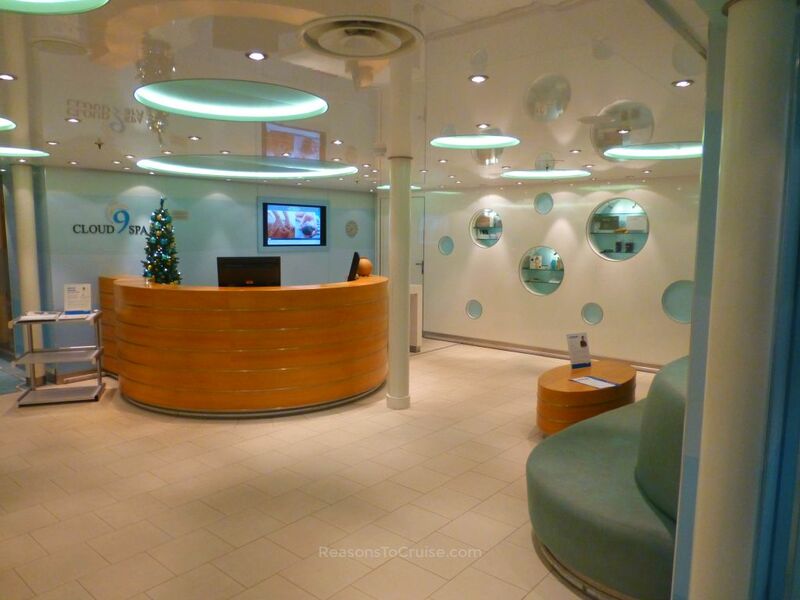 Would I be out of my depth on a non-stop party boat, or would it be a floating holiday camp? It turned out to be neither. 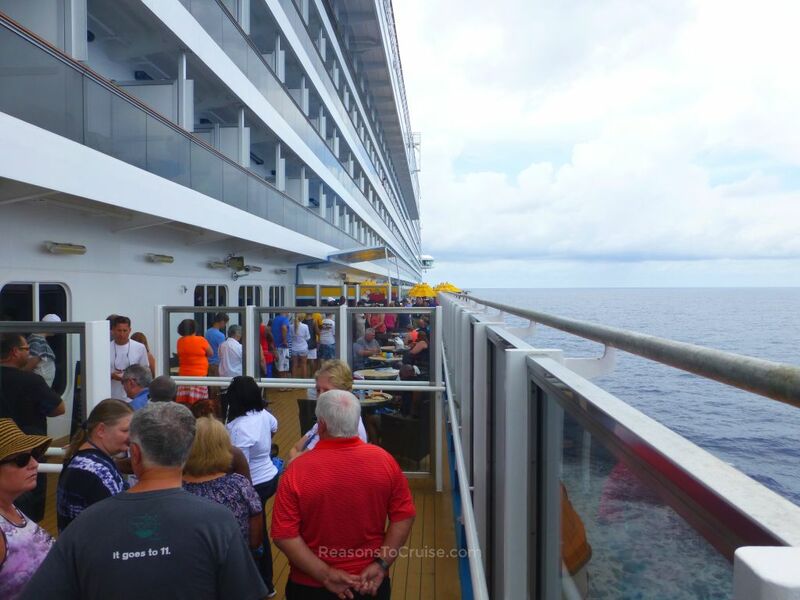 Instead, it was a good value cruise experience where having fun was the order of the week. 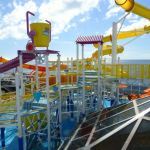 Here are my reasons why Carnival Breeze is an excellent budget choice for an American-style Caribbean cruise. 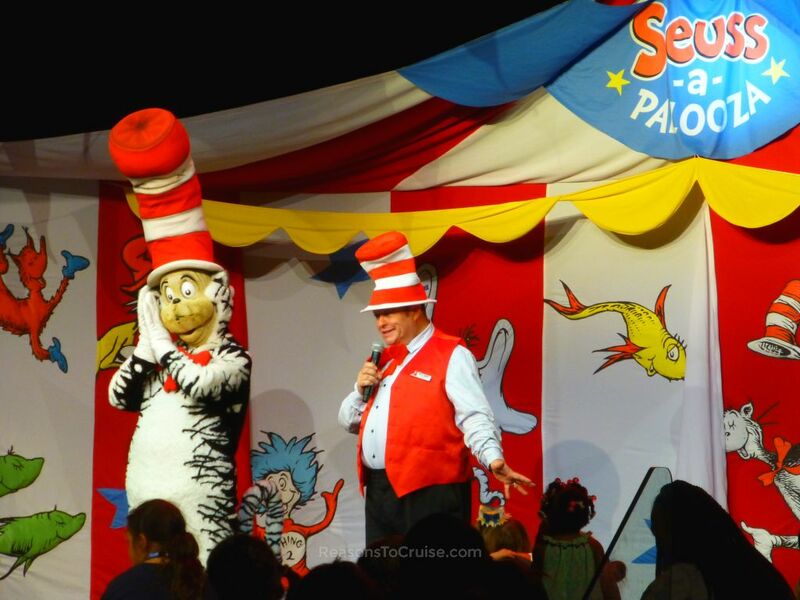 Carnival Breeze has a fun atmosphere, and this is at the very core of the onboard entertainment. 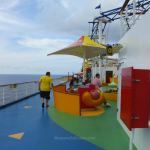 Everything on the largest ship in the Carnival fleet (130,000 gross tonnes) gears towards throwing off the shackles of the nine-to-five routine and having a good time. The staff truly buy into this ethos, which helps. 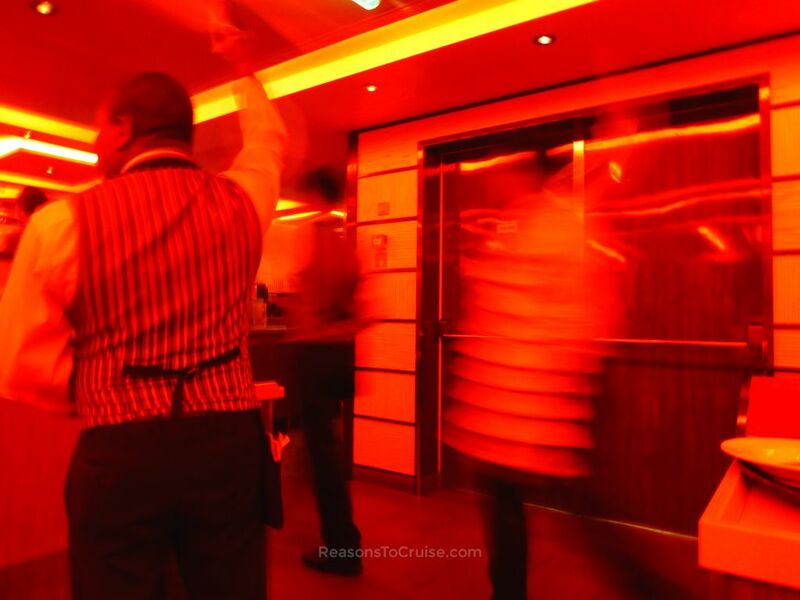 Before I stepped aboard, I pictured a relatively young passenger mix, rowdy drunken crowds, loud music, and an exhausting, full-on party atmosphere. But in reality, the age range was older than I anticipated. During the school holidays greater quantities of kids and teens head onboard, but in early December the passenger mix is predominantly made up of young families and retired travellers. While a minority drank to excess, occasionally making the job of the entertainment staff trickier, there was no crude rowdiness to be seen. 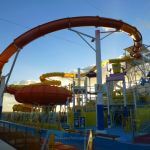 WaterWorks is a magnet for children who love to splash around under the water fountains or ride the slides. 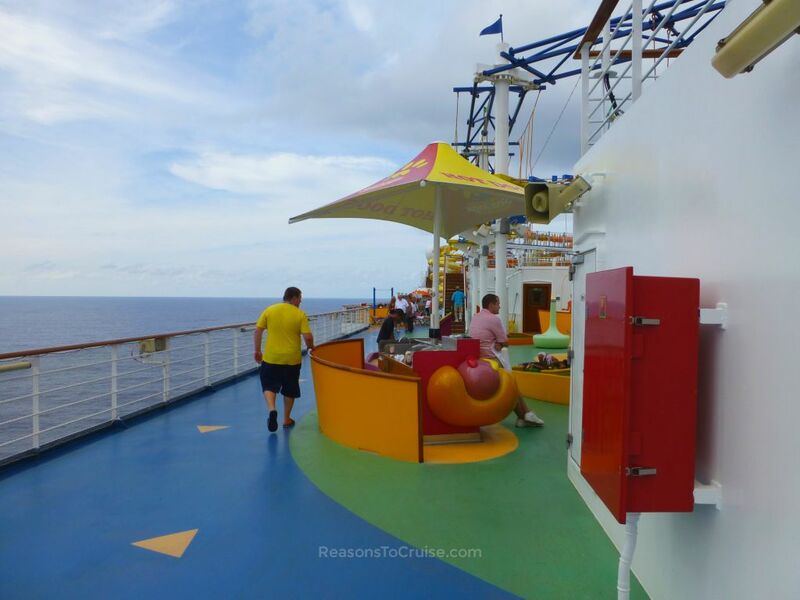 Under the blazing Caribbean sun, this helps to keep kids cool. SkyCourse is surprisingly popular with a broad range of ages participating from young children through to grandparents. Two adjacent tracks loop around above the deck, one offering an easier option than the other. A quarter of last year's bookings were for family cruises, with solo holidaymakers, couples, and groups making up the remainder. 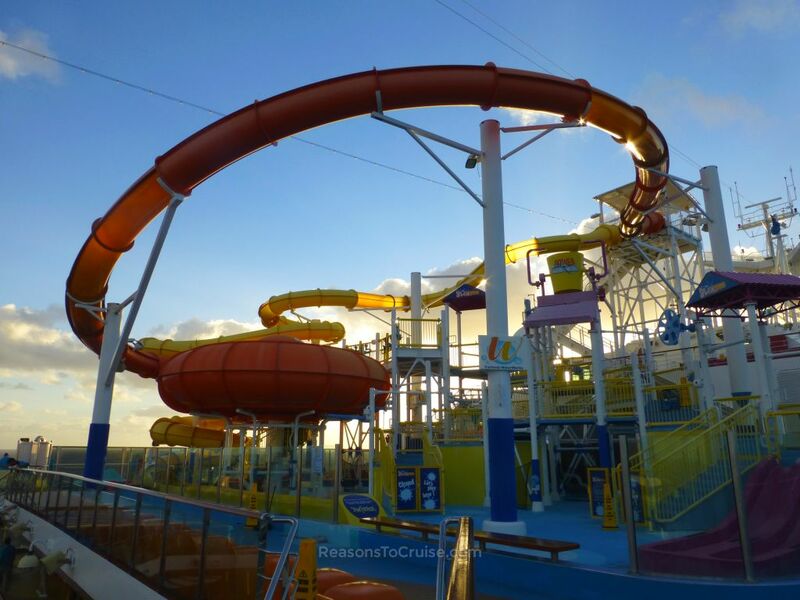 Carnival Cruise Line does a great job of providing all-round family entertainment but also ensures it caters for those without children just as well. 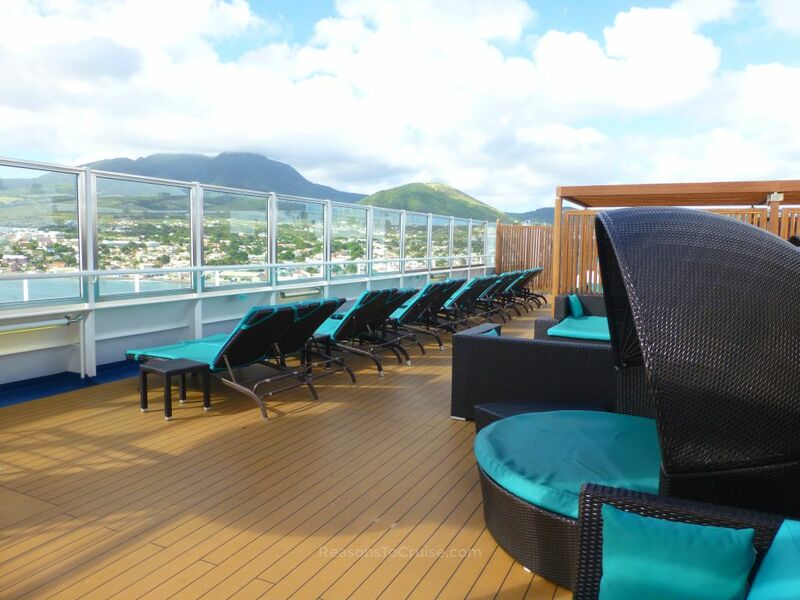 On Deck 15 is Serenity, an open air adults-only area for sunbathing in peace and quiet. Directly beneath this space is the Cloud 9 Spa. Its thermal rooms are a highlight, but it is the large and inviting Thalassotherapy pool that stands out most. 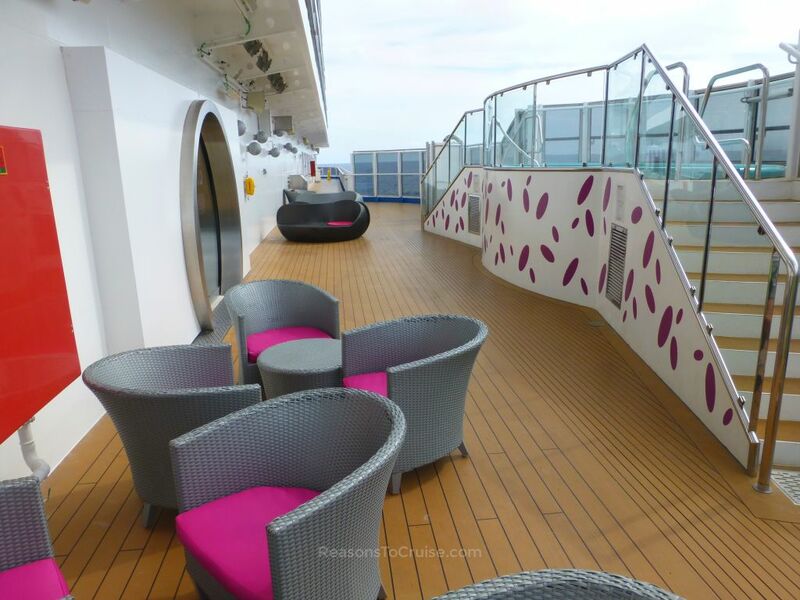 The Lenai, a wraparound promenade deck on Deck Five, had its quiet spots. 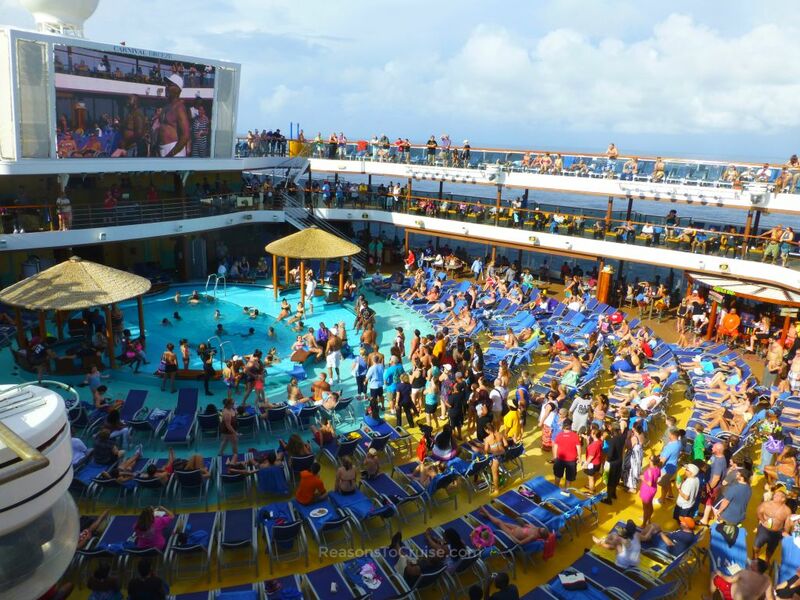 Most people on the ship gravitate around the main venues leaving other areas practically empty. 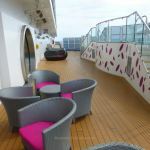 Go with the flow and enjoy non-stop entertainment, or swim against the current and enjoy a peaceful and relaxing trip. 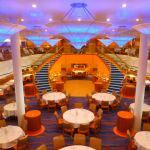 Bars, lounges and clubs are dotted around Carnival Breeze. Some are more popular than others, and demand fluctuates throughout the day. 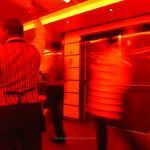 Busy venues included the BlueIguana Tequilla Bar, the RedFrog Rum Bar, the RedFrog Pub and the Plaza Coffee Bar. Energetic poolside entertainment provides respite from the loud pumping music. 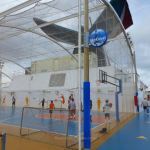 The bustling Lido deck plays host to most of the outdoor activities, although sports events take place at the rear of the ship in SkyCourt. Sun loungers surround the Lido swimming pool but are best suited to those with a love of pumping, high energy music. 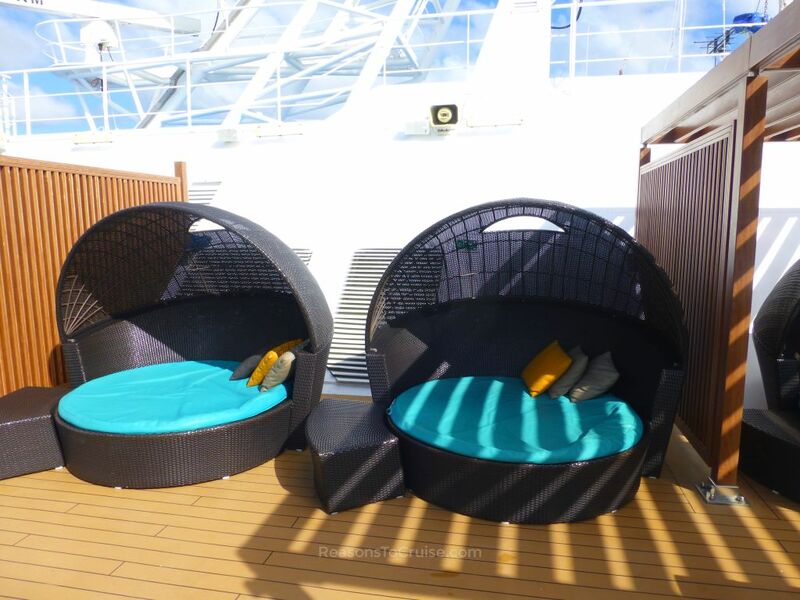 The ship's design means noise does not travel too far so finding a quiet place to sunbathe or a quiet pool to take a dip in is easy enough. Ovation Theatre is well used, with high-tech evening production shows headlining on most nights. The quality of the musical shows is good with the theatre gadgetry and set design the cherry on the cake. 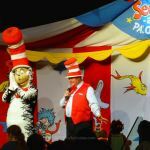 During the day the venue is used to host events like The Hasbro Gameshow - where board games transform into larger versions for the stage - and Seuss-a-palooza Story Time - a recital of Dr Seuss tales - hosted by Cruise Director "Wee Jimmy". 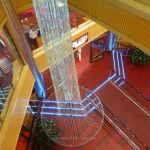 The Thrill Theatre sits apologetically next to the Teen clubs on Deck 4 and boasts a limited selection of 4D films and features. 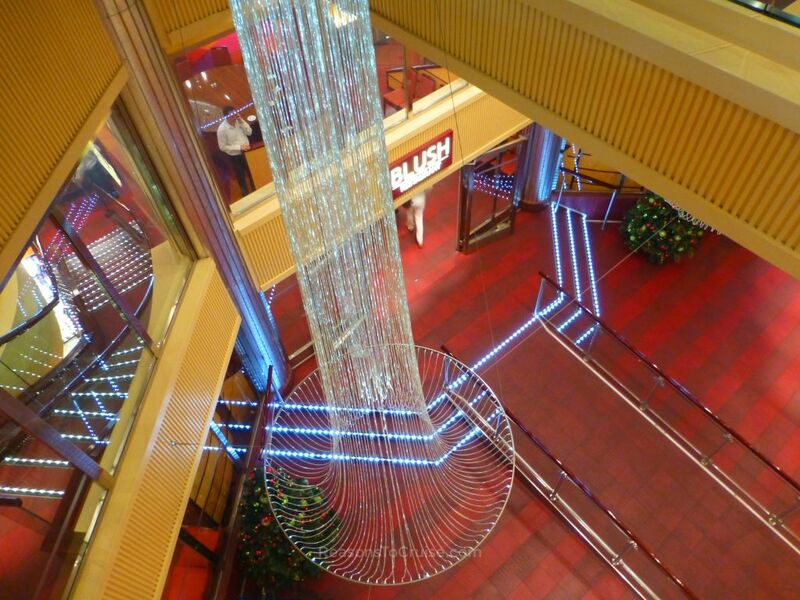 The Atrium is the beating heart of the ship and is used throughout the day and evening to host social events. The Fun Shops provide retail therapy with a range of good sized and well-stocked outlets. 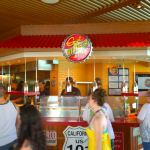 Cherry on Top is a popular favourite, with lots of sweet treats tempting many cruise passengers to part with their cash. Adult entertainment - pub quizzes, late night comedy shows, etc. 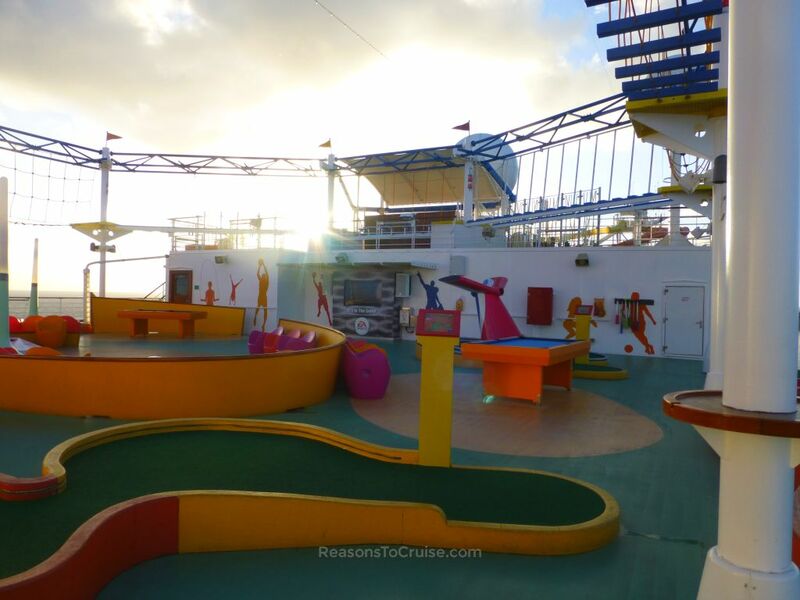 - provides respite from the family-style entertainment available daily on the ship. American and Australian families with teenage children shared my allocated table in the Blush Restaurant. Loveable staff tempted us all back each night. The wait staff relished every opportunity to flex their entertainment talents, throughout dinner and at the end of the meal for the traditional parades and dances. Be aware that the vibrant rouge lighting in the red-themed venue will ruin all food photos like it did with mine. 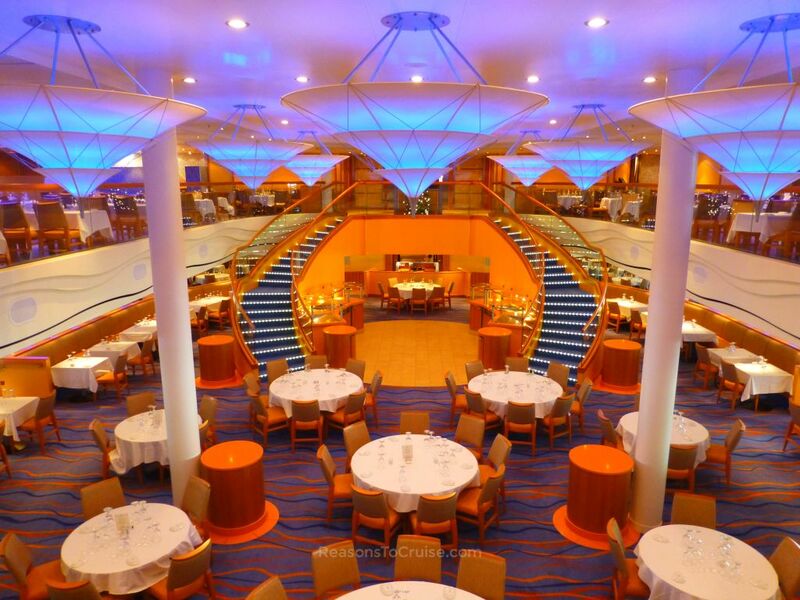 Sapphire Restaurant is the second main dining room. Its blue colour scheme makes this place feel more upscale than Blush, but it serves the same dishes. The food onboard is of a superb standard. Menus are full of tempting choices nightly, and the presentation of each dish is a conscious decision. Expect classic American comfort food as well as more exotic options. 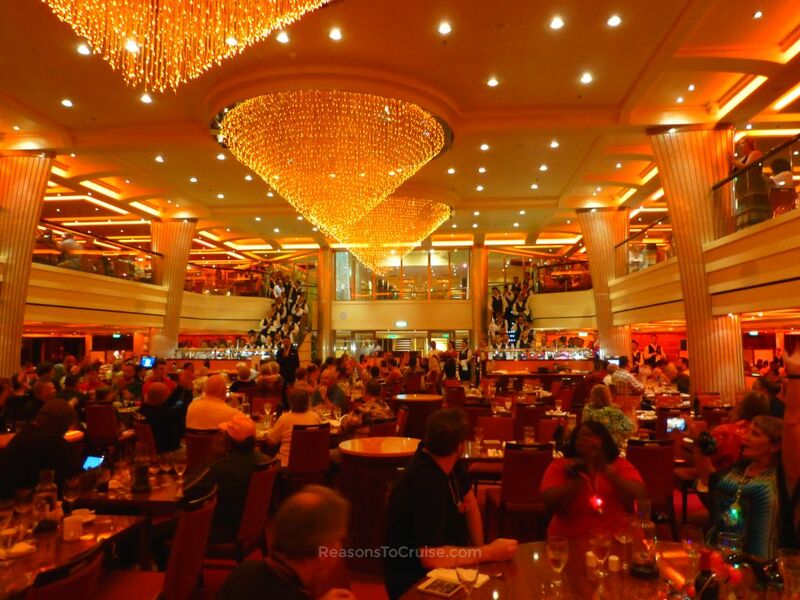 Not once on this sailing did I feel the need to pay the cover charges or à la carte pricing to dine at speciality restaurants Fahrenheit 555 steakhouse, Cucina del Capitano, and Bonsai Sushi. 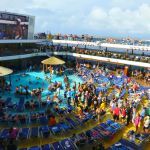 With no pressure selling, this is a refreshing change to the cruise lines appearing to "nickel-and-dime" its passengers at every turn. One dish highly recommended is the Carnival Melting Cake (recipe here). This decadent dessert will fill you up and combines a rich chocolate cake with a molten gooey centre. 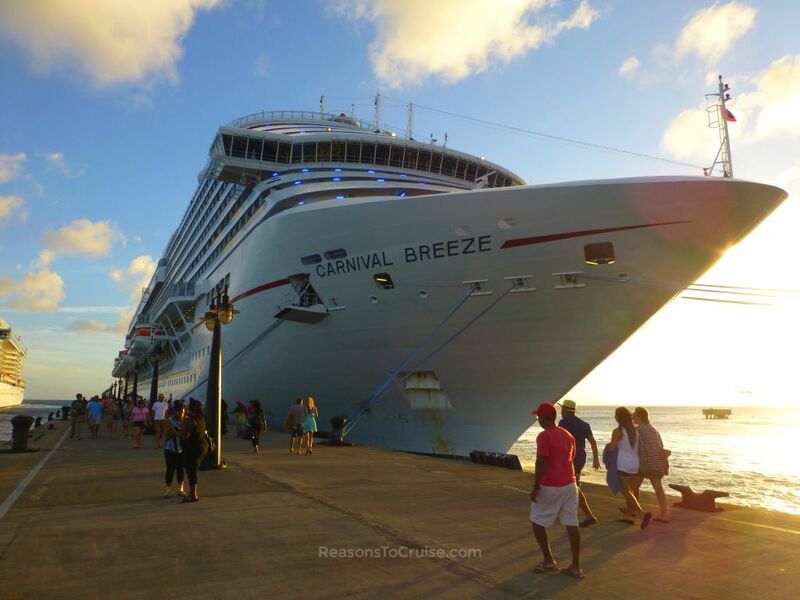 Trust me; this indulgent treat is reason enough to sail on a Carnival cruise! 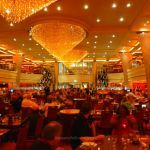 The Lido Marketplace is an expansive buffet venue open 24 hours a day. Sections opened and closed throughout the day, but I could always find something to eat or drink here. Fancy meals day in, day out can leave you hankering for something straightforward and basic. A cheeseburger, for instance, or some fries. 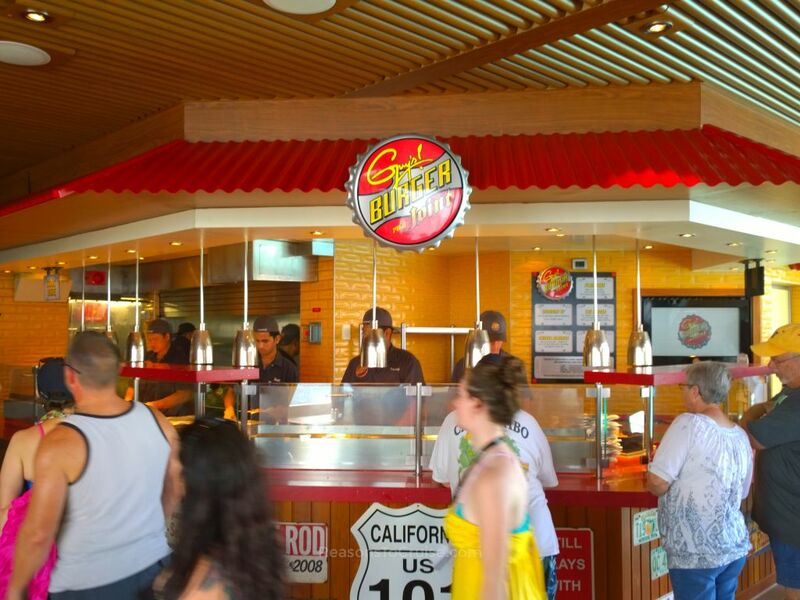 American celebrity chef and Food Network's Diners, Drive-Ins and Dives presenter, Guy Fieri, lends his name to Guy's Burger Joint offering juicy burgers and seasoned fries daily (menu here). Surprisingly, meals at this venue are free of charge. Head here a few times, and you will soon get to grips with the ordering lingo. Start with the "Straight Up" with a helping of SMC, LTOP, and donkey sauce. 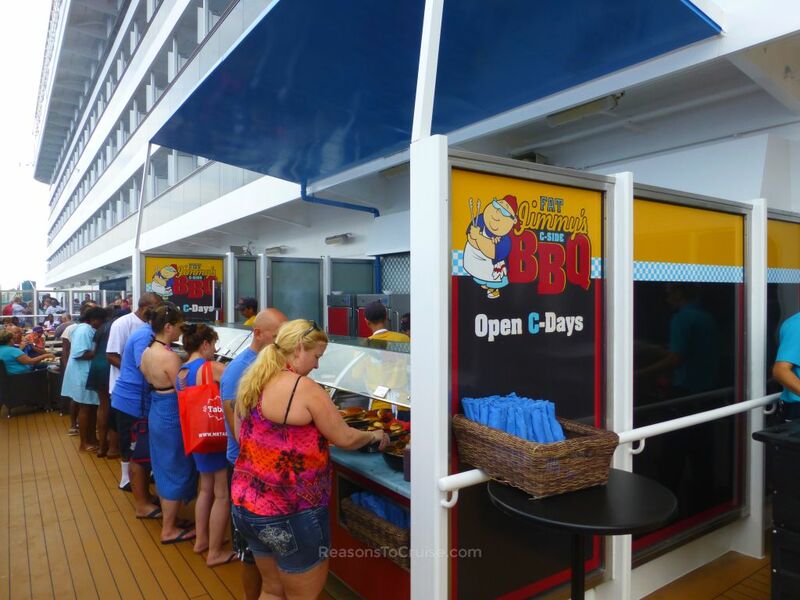 Other free snack options included: BlueIguana Cantina, serving tacos and burritos; Fat Jimmy's C-Side BBQ, serving barbequed items on sea days; and Sea Dogs, serving hot dogs from a cart. Fat Jimmy’s C-Side BBQ only opens for business on sea days, and the aroma of grilled meats quickly lures in long lines of people. Expect very long queues at peak time at these venues. Fat Jimmy's took the award of lengthiest queue during my week aboard, clocking in at over 50 people deep. Guy's was not far behind. These figures barely scratch the surface. During turnaround day the ship will take on vast quantities of beverages, other foodstuffs, and non-food items (such as cleaning supplies, hotel consumables, office essentials, etc.). 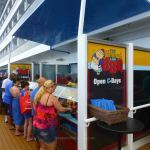 Bar prices and drinks package prices are very reasonable compared to other cruise lines operating in the Caribbean. Speciality restaurant cover charges are fair, as are the prices in the Spa. Shore excursion prices are comparable to other cruise lines. 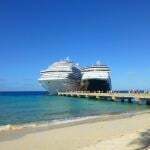 Cruise fares for Caribbean sailings (excluding flights) are often amongst the lowest in the industry. 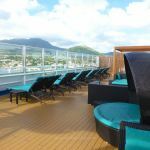 Given the level of service, accommodation, food, and entertainment onboard, this represents exceptional value for money. 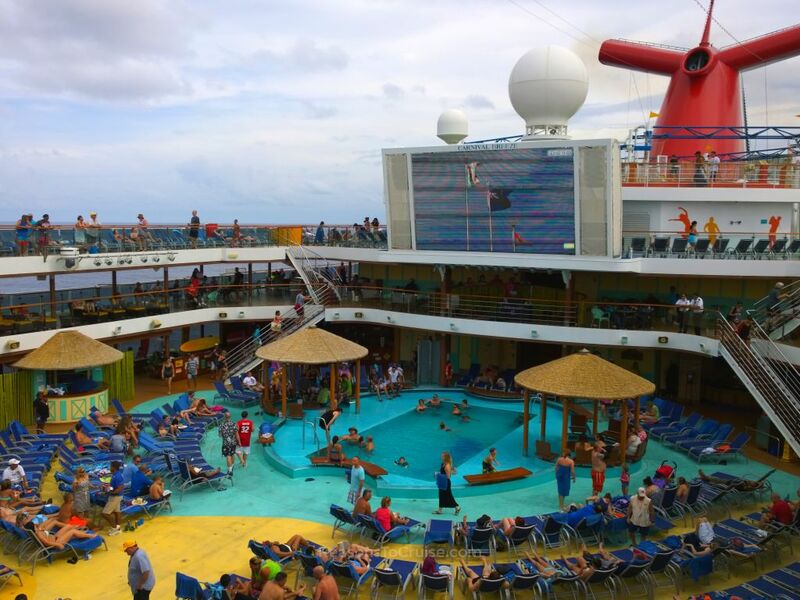 I sailed on an eight-night Eastern Caribbean itinerary from Miami. 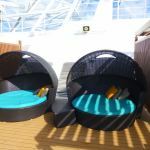 The agenda included three sea days spread over the beginning and end of the voyage, enabling some relaxation before hitting the ports of call. 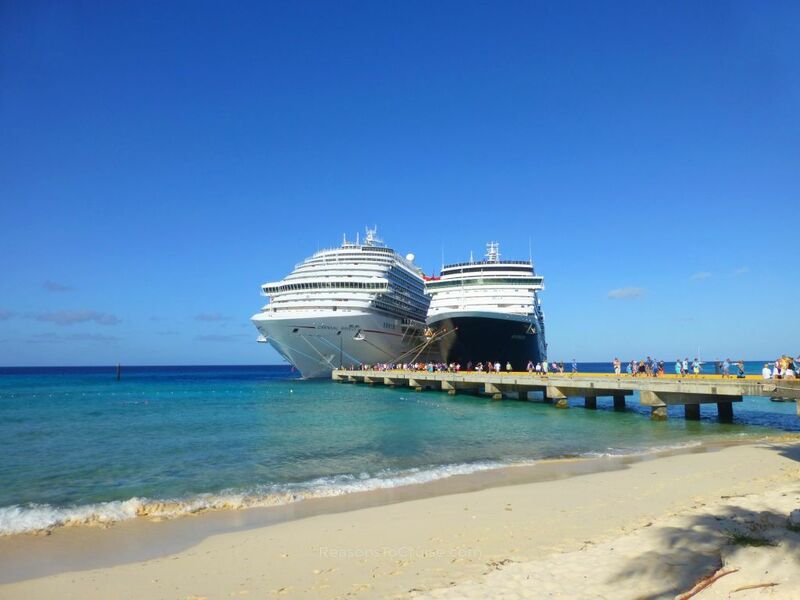 Grand Turk has to be one of my favourite Caribbean destinations. 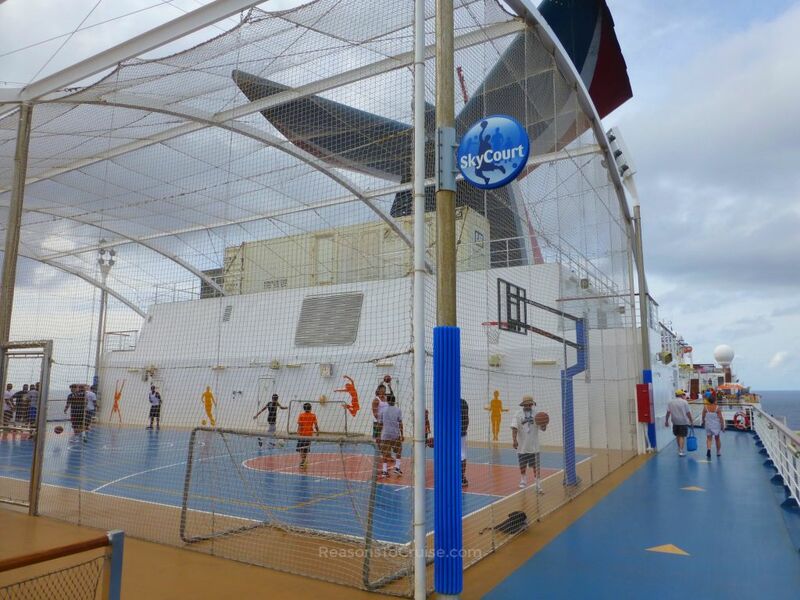 With a golden sandy beach within mere steps from the ship, it is an ideal port of call for families. While the more adventurous passengers headed off for island tours, we opted for a lazy beach day instead. 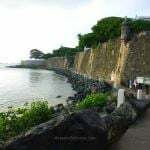 San Juan in Puerto Rico is steeped in history and exploring on foot is best. Take a walk along the narrow cobbled streets and take in the impressive buildings. The waterfront is ideal for a gentle stroll. 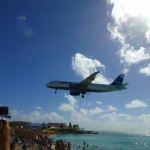 Having visited St Maarten before, I had already toured the island on a shore excursion. 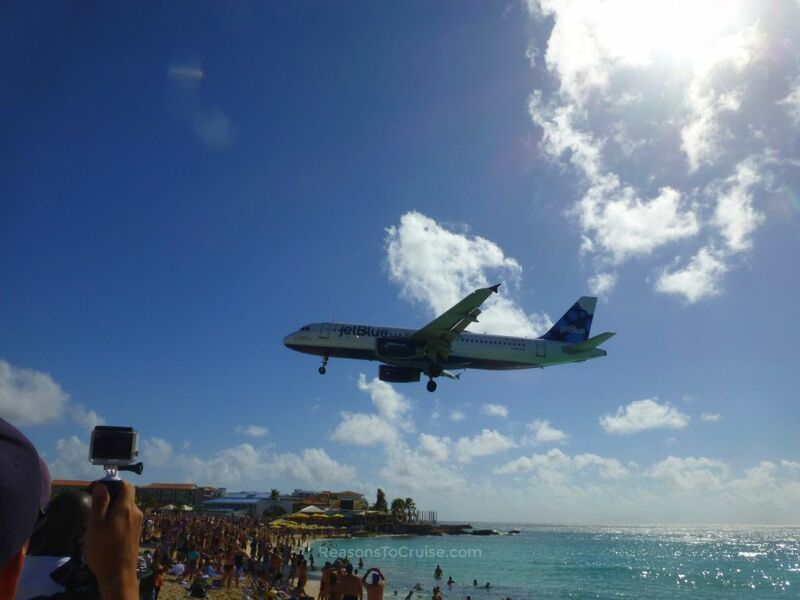 With a plane-obsessed little boy, there was only one thing to do - head to Maho Beach to spot planes taking off from, and landing at, Princess Juliana International Airport (SXM). He loved it, and so did I. 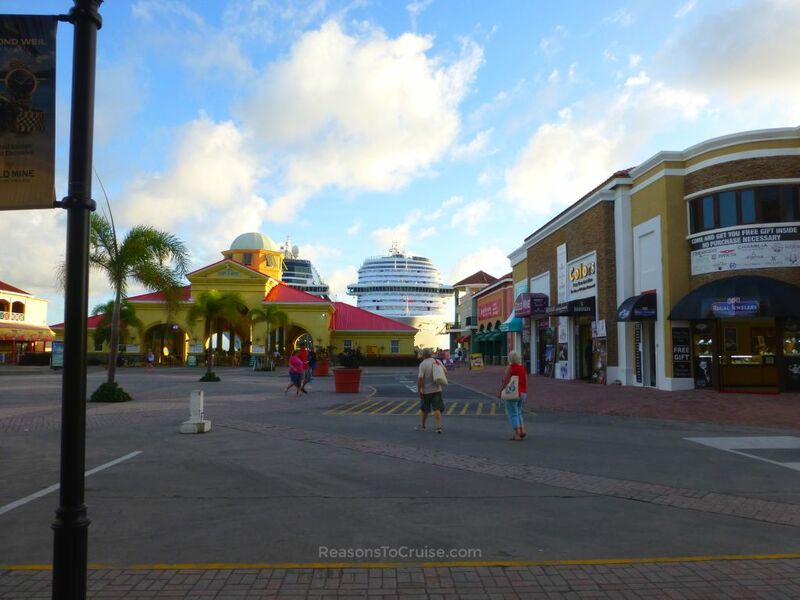 Port Zante in St Kitts is a pressure selling paradise where cruise passengers roam. Venturing far beyond the port area on your own is ill advised. 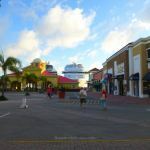 I would highly recommend booking a shore excursion to see more of St Kitts than just its disappointing port area. 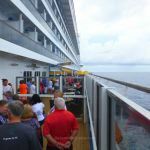 I flew from London Heathrow Airport to Miami with British Airways, boarding Carnival Breeze after a night in the Hyatt Regency Hotel. 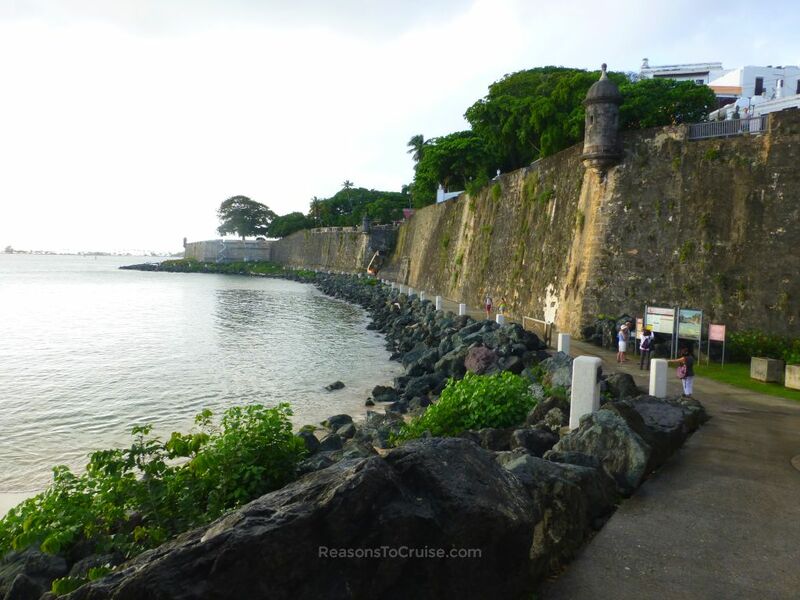 My eight-night itinerary took me from Miami to Grand Turk, San Juan (Puerto Rico), St Kitts, and St Maarten. 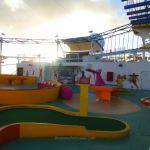 Have you sailed on Carnival Breeze? 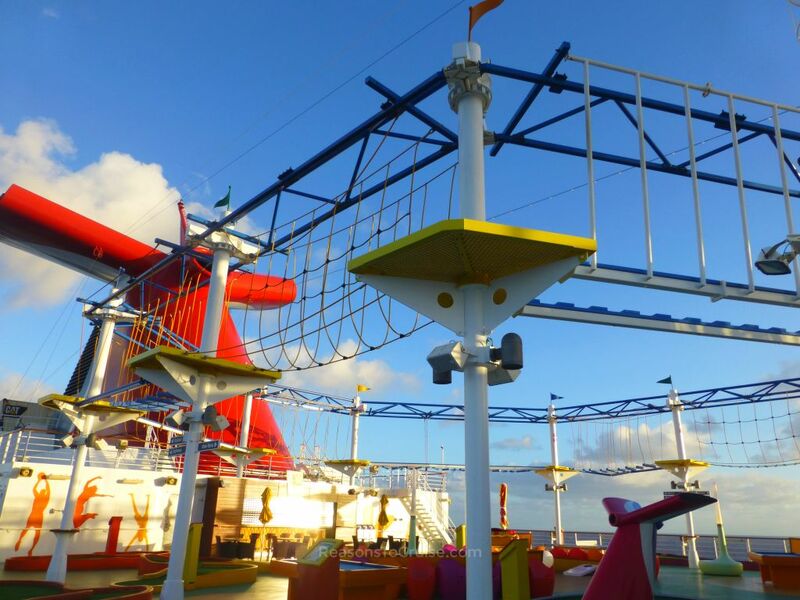 Did you have a great time onboard? Tell me all about it in the comments section below. Drop your bags at the port and leave your stresses behind too. 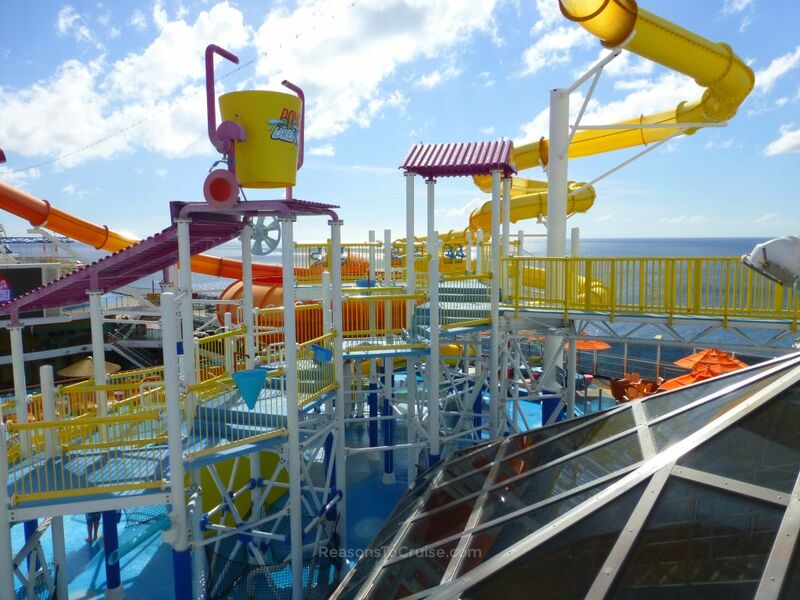 Step aboard this “fun ship” for an enjoyable cruise holiday. 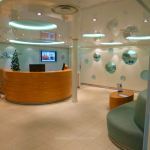 Expect very good value, a relaxed ambience, and a very memorable holiday.